We've started celebrations of the Walt Whitman bicentennial early with a Poetry Month launch of our first new campaign! The Library of Congress holds the world’s largest Whitman manuscript collection. “Walt Whitman at 200” presents nearly 4,000 pages of his writings, including poetry from the Charles E. Feinberg Collection and the Walt Whitman Miscellaneous Manuscript Collection, which includes drafts, personal letters, and more. Exploring, transcribing, and tagging these materials will allow you to see how Whitman lived and wrote firsthand. 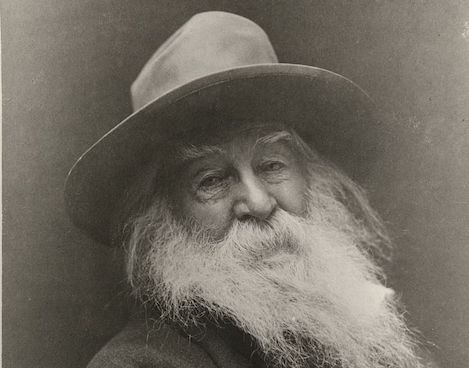 We'll be highlighting Whitman and this campaign in the lead up to his birthday on May 31. We're kicking off this campaign today with a 4 p.m. ET, virtual transcribe-a-thon co-hosted with the National Council of Teachers of English. 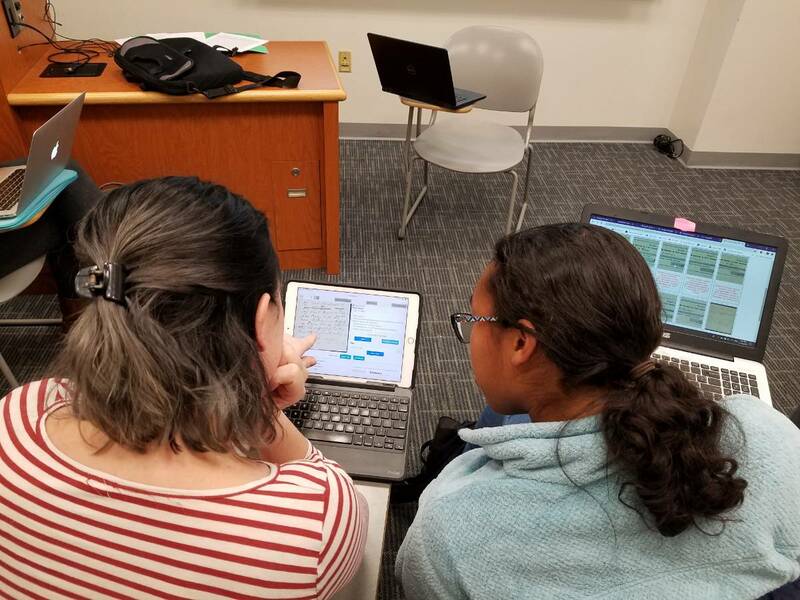 The 1-hour webinar will bring together educators and Whitman and crowdsourcing experts from the Library to unveil the campaign and discuss how students can analyze, transcribe, review and tag the Whitman papers. There's still time to Register here. We've published the first batch of By the People #LetterstoLincoln transcriptions! That's right, your work is already searchable in the Library of Congress website. Less than three months after the launch of By the People, we have published 781 transcribed pages. There are actually several thousand other completed pages, but we started with this test batch from Letters to Lincoln. Browse them by following this link or searching for "project at crowd.loc.gov" in the search field at loc.gov. It is very important to us that we acknowledge your work, so there is an attribution banner and a short sentence in the text file stating that the transcription was produced by project volunteers. As you might have guessed, volunteers are transcribing at an amazing rate. To keep up with demand we released #LettersToLincoln pages from 1863 in January and just last week opened 1864 as well. Only one project remains unavailable, 1865-1889: Assassination and aftermath. What will you find in these pages? Keep transcribing and we’ll unlock this last fascinating segment of Lincoln’s life soon! Professor Chandra Manning of Georgetown University shares the following case study of bringing By The People into her "HIST 480 - Lincoln" classroom and student observations gleaned through contribution to the Letters to Lincoln Challenge. How are you using transcription and tagging of Library of Congress for education or recreation? Share your story here on History Hub! On Nov. 14, History 480 made its mark on history! Or at least on the sources available to people investigating the history of Abraham Lincoln. Together, students participated in the Letters to Lincoln Crowdsourcing Project. For two and a half hours, they zoomed in on letters written to Abraham Lincoln in 1858 and 1859 that had been scanned by the Library of Congress, and they painstakingly transcribed them letter by letter. In the process, they came face to face with idiosyncratic 19th century spelling and the challenges of sloppy handwriting, but they also caught a glimpse of Lincoln's world in a new way. They encountered letters to Lincoln the lawyer about upcoming legal cases or recent judgments, which were often mundane but sometimes included amusing tidbits, such as one young man's note about how he is sure that Lincoln won't mind that he has named him as a reference since Lincoln knows his mother and father. They waded through missives of political intrigue as supporters assured Lincoln that his chances of the Republican nomination were good as early as 1858 or 1859, which were earlier dates than we expected. They were struck by the logistics of politicking; several worked on a letter from a supporter who trekked the state of Illinois drumming up support for Lincoln. They also could not help but notice a lot of trash talking about Seward, the front runner for the Republican nomination, who was alternately portrayed as "weak", "lame" or full of "chicanery." And they nominated "cabal" as the most frequently used 19th century political word, which has now fallen by the wayside. The class also reflected on the letter as a medium. Even though the letters we viewed were chiefly legal or political in nature, they often revealed a surprising intimate and confiding quality. A writer from Auburn, New York wrote all about living as Seward's neighbor, while another good friend of Seward admitted that he thought Seward was too weak to be nominated. The tone seemed notably different from email communications today, in which we all keep up a bit more of our guard. "The only time I really write an actual letter is a thank you letter," one student reflected, "and these feel different." The students' efforts made a measurable impact. When we began, 31% of the project's 1858-1859 letters had been completed, but by the time we finished, that number had jumped to 36%. Our small but important contribution to the project was both a foray into the work of historians and a glimpse into the intimate concerns of Lincoln and his contemporaries.